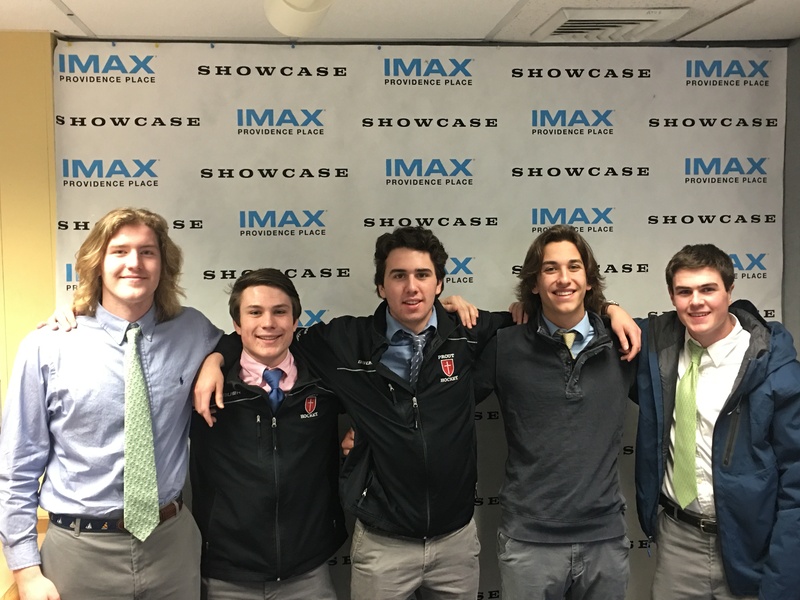 Congratulations to this week’s Showcase Cinemas High School Team of the Week: Prout Hockey! The Prout School boys varsity hockey team defied all odds this past Saturday by winning their first D-1 State Championship. They finished their first inaugural season in Division 1 with only 4 wins and 13 losses, but something happened in February. They decided to give up losing for Lent. With that mentality and resilience, they powered through the playoffs to play the Burrillville Broncos. We are so very proud of the boys and our coaches.